Moscow officials may be weeding out city markets as part of their efforts to make entrepreneurial retail more civilized, but the same vehemence doesn't extend to the weekend farmers markets. The administration plans to increase the number of these markets and is helping their participants to be more profitable. 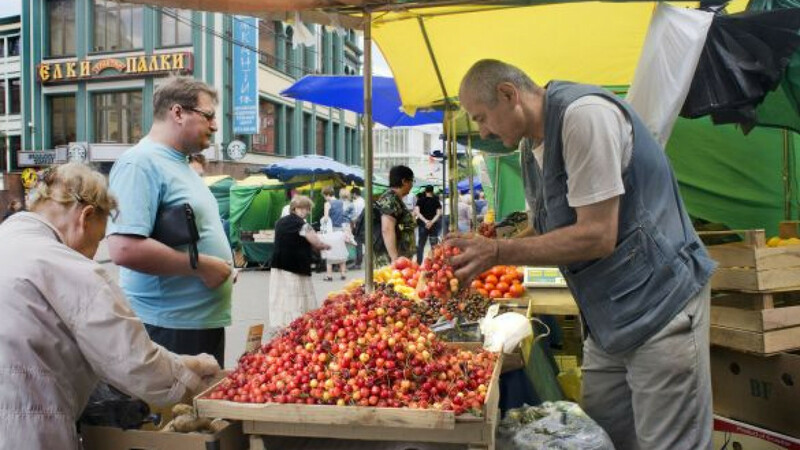 There are currently 125 farmers markets in Moscow, but this number will reach 160 by the end of August, just in time for the peak of the harvesting season, Alexei Nemeruk, head of Moscow's department of trade and services, said Tuesday. The newly added Moscow territories will get 10 new farmers markets and 10 plots designated for such markets. The remaining 16 markets will be opened within the old Moscow territories. Officials also plan to make changes to the current trade regulations by Aug. 1 to extend the working hours for regional producers, Nemeruk said. According to this model, farmers from neighboring regions will be able to come to Moscow and sell their products for up to two weeks. Farmers markets are considered an economic alternative for buying quality produce, as well as an effective means to support regional producers. Prices are usually 15 to 20 percent below those at regular markets, but in some cases farmers are forced to increase their rates. This year, farmers don't have to pay for using the market lots. Equipment, clean-up, waste disposal and safety at the markets are now covered by the city budget. However, there have been multiple cases of dishonest market supervisors demanding that farmers pay for these services. The city received over 30 complaints about such illegal money collection during the first half of 2012. Officials have started to investigate the cases and two criminal charges have already been filed, Nemeruk said. In addition to its law enforcement measures, city officials are trying to boost farmers markets by making them more visually appealing to customers. They are planning to buy new tents to give the markets a more "colorful image," Nemeruk said. "We really want the markets to meet international standards," he added. "After all, Moscow is the capital of our country and everything promising, everything beautiful will be seen here." Meanwhile, city officials have been actively taking down regular markets. Eighteen universal markets that sold produce, clothes and other goods closed on July 1. Fourteen markets were closed last year, including the 20-year-old market at Luzhniki, which had become a virtual monument to post-Soviet bartering traditions.